Classes at K-10 Dog Training, no matter the age of your dog, focus on building a solid positive relationship between you and your pet. The classes use methods backed by science and focus on life skills that most dog owners desire of their canine companions. There is also one-on-one instruction for owners dealing with dogs with problem behaviors. Whether you are building new desired behaviors or you need help modifying unwanted ones, there is something for you at K-10. You purchase a Levels Training Package. 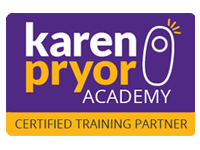 A Levels Training Package contains 5, 10, or 20 classes. You then sign up for classes at your level. Each level has base proficiencies. At any time, when you feel you and your pup have met the proficiencies of your current level, you can request to test out. Successful passing allows you to move to the next level of training. There is no set number of classes per level. You can move as slowly or quickly as desired through a Training Level. Although most lessons are once per week, Level Training schedule offers flexibility. If desired, based on your schedule and that of the trainer, you may opt to take multiple classes / week. You can also skip a week and pick up the next week, again based on your schedule and that of the trainer. New students to K-10 Dog Training must take the “Let’s Meet” orientation class prior to signing up for Levels Training package. All students start at Level 1. Students with previous training may immediately test out to proceed to Level 2 and upward if desired. This ensures a base knowledge and skill set at each Training Level. NOTE: Reduced price per class can be offered if a group of 2 or 3 students wish to train together. Please contact K-10 for more information. This is a one-time orientation class intended for just dog owners which is required prior to taking a class at K-10. This class gives you the tools to start building that solid positive relationship with your dog. This one-hour class is free to anyone who continues on to Level Training or One-on-One training offered at K-10. If no subsequent classes are taken, there is a $25.00 charge for the orientation class. At this level problems such as Attention Seeking behaviors (play biting / jumping up / attention barking) as well as house training issues will be discussed. We will also discuss capturing and luring / fading the lure as means of getting your dog to do new behaviors. In addition, your dog will start working on Loose Leash walking while focusing on you. Touch will be expanded to introduce what will eventually, with practice, become a solid recall (come). Your dog will also be introduced to the Stay cue. We will also work on polite greetings. You will hone your clicker skills by capturing a new behavior and putting it on cue. To progress to Level 2 , your pup must be able to sit and down on verbal and /or body cue without a lure. Your dog will eagerly respond to his name as well as a hand target. Your pup, without pulling, must be able to walk calmly around the training room at a distance of 5 feet from distractions. While on leash, your dog must be able to come when cued. He should be able to perform a 5 second sit/stay or down/stay. He/she should be able to greet a person without backing away or jumping up. You will demonstrate the new behavior that was captured. This Level will add some impulse control cues such as Leave it, Drop It/Trade and Wait at Thresholds. Your dog will also learn to Go To Mat or Kennel Up on cue. We will introduce the heel positions via targeting as well as continue to work on loose leash walking, You will learn how to shape new behaviors and will, as an assignment, teach your dog a behavior of your choice through shaping. You will learn how to reduce latency between presenting the cue and your dog performing the requested behavior. To broaden your training toolbox, we will discuss alternate rewards other than food treats that can be used to motivate and possibly strengthen your dog’s responses to cue. To progress to Level 3, your dog, when cued, must not approach a treat / toy that is 3 feet away. He must be able to do a 20 second sit/stay or down/stay. He must be able to Go To Mat or Kennel up on cue. While guided he must be able to assume a heel position as well as walk with attention on you at a distance of 3 to 4 feet from distractions. He must be able to reliably come from a distance of 10 feet. He will be able to demonstrate a behavior that you taught him through shaping. This Level will add more distance, distractions and durations to already known cues. Your dog will work on longer-distance recalls and stays with moderate distractions. He/she will assume a heel position when cued and heel with moderate distractions. He will also be introduced to sit and down cues from a distance of at least 5 feet. Weather permitting, classes will be held outside to add new distractions to the mix. To progress to Level 4, your dog will be required to do a 1 minute sit/stay or down/stay. Your dog will be required to heel with attention on you past distractions that are within 3 – 4 feet. He will be required to come from a distance of 20 feet when called. While standing 5 feet away from your dog, he must be able to sit and down when cued. At this Level, your dog is more than qualified to take the AKC Canine Good Citizen test which is offered at K-10 Dog Training. This Level will put some polish on already known behaviors. We will work on snappy responses to known behaviors such as sit, down and recall by continually reducing latency and selective rewarding. We will add turns and work on automatic sits when heeling. You will continue to learn how to use targeting as well as capturing and shaping to develop new behaviors and tricks that will “Wow” friends and families. 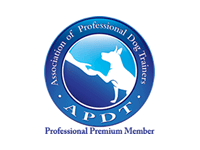 This is for students that are ready to take the AKC CGC Test. Testing will be scheduled as needed. 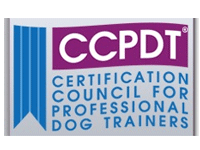 Find out more information about the AKC Canine Good Citizen test at http://www.akc.org/dog-owners/training/canine-good-citizen/. Some dogs have behaviors that are simply annoying while others exhibit behaviors that have the potential to be dangerous. Using a combination of counter-conditioning and desensitization along with positive reinforcement, time and patience, dogs can overcome fears and anxieties that lead to aggressive displays. They can also learn alternative acceptable behaviors to replace problem ones. Don’t suffer through it alone – contact us for one-on-one help.